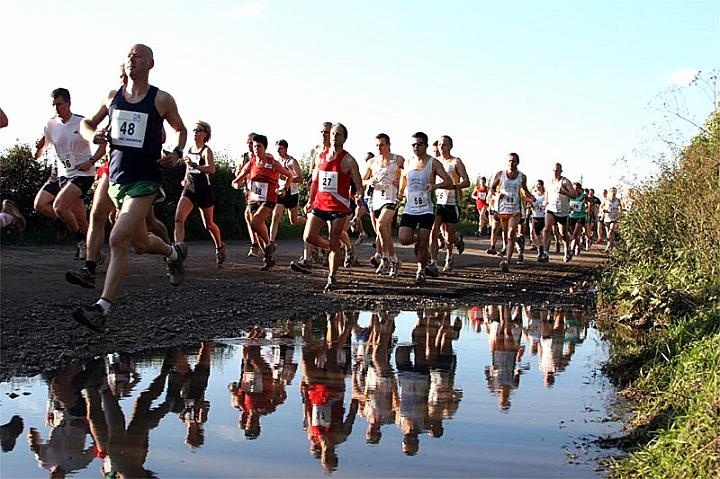 The inaugural 5.5 mile Royton Trail race was held on 18th July 2007. A total of 72 runners took part, with David Lockett of Salford Harriers becoming the very first Royton Trail winner. The size of the race has gradually increased over subsequent years, culminating in a record 299 finishers in July 2016. Ian McBride became the first Royton Road Runner to win the race in 2012, finishing more than a minute clear of Mick Flatley (Middleton Harriers), Ian then repeated the feat in 2013, winning by more than two minutes and setting a new course record of 28:49, a remarkable time for this tough, undulating multi-terrain race. This followed four successive victories from 2008 to 2011 by Ian Grime (Newham & Essex Beagles). Ian was victorious again, now as a Salford Harrier, in the 2014 race. Another Salford Harrier, Joe Bailey, triumphed in 2015 race with Rob James from RRR coming home first in 2016. Jennifer Bloor won the ladies title for Royton Road Runners in 2015 and 2016, following a victory for her club colleague Kirsty White in 2014. This followed successes for Vivienne Slack (Prestwich AC) in 2013 and Sam Fox (Saddleworth Runners) in 2012. Bev Jenkins (Salford Harriers) won in 2011 with a course record of 33:51 – good enough for 15th place overall. Alison Sedman (Belle Vue Racers) finished in third place in 2011, 2012 and 2013 following her victories in 2009 & 2010. Other previous winners of the ladies race were Lisa Heyes (Horwich RMI Harriers) & Jacqui Dews (Holmfirth Harriers) in 2007 and 2008 respectively. Once again this year we are pleased to be sponsored by Up & Running (Manchester). Check out their website. This is the 11th staging of The Royton Trail. Last year the race limit was reached via online entries, so there were no entries on the day. The race will start at 7.30pm prompt. Race HQ is at the Tandle Hill Tavern, please note that the pub is approx. 1 mile along an unadopted road, which contains numerous potholes, please drive carefully or consider walking this last section. The start is approx 400 metres from Race HQ. The course is made up of undulating lanes and paths in the Tandle Hill Park area, subject to weather conditions trail shoes are advised. Toilet facilities are limited so please allow time for queing. Post race food will be available free of charge in the pub where the post race presentation will be staged. Please allow plenty of time to park vehicles, parking is limited so please car share if at all possible. Some short sections of the course will be open to traffic, while this should only be very light please be careful and respect other road users, especially horse riders for whom the area is popular.